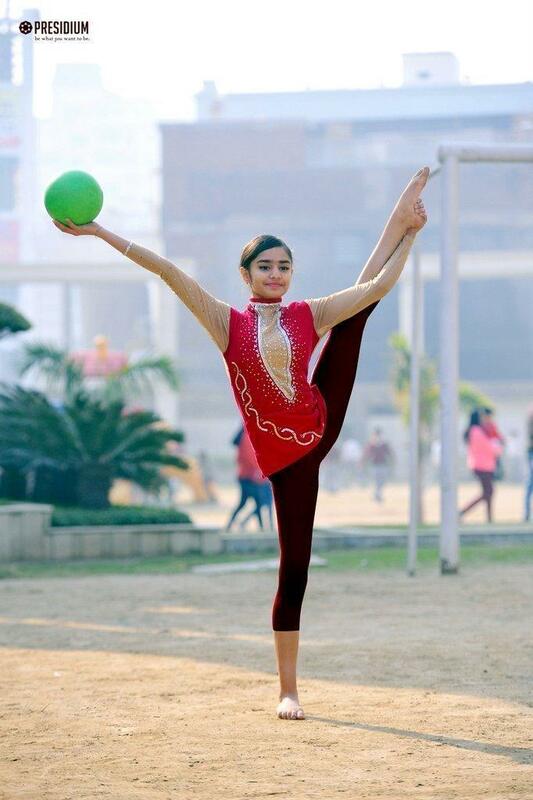 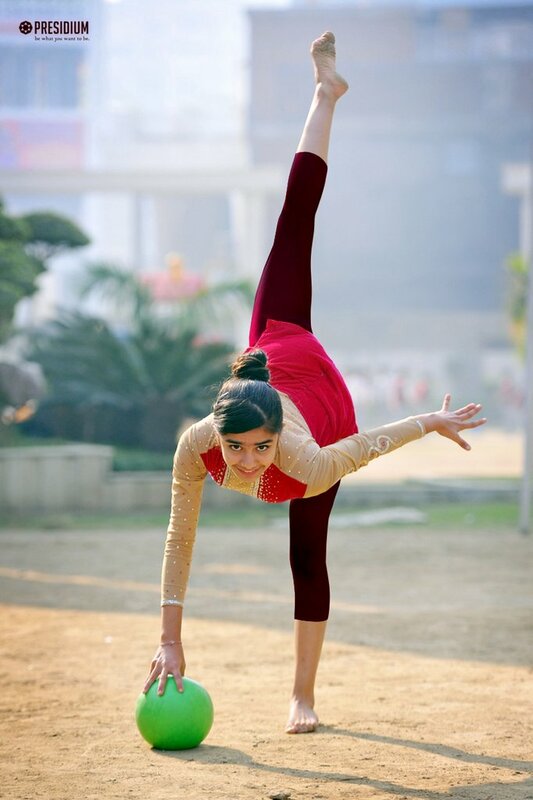 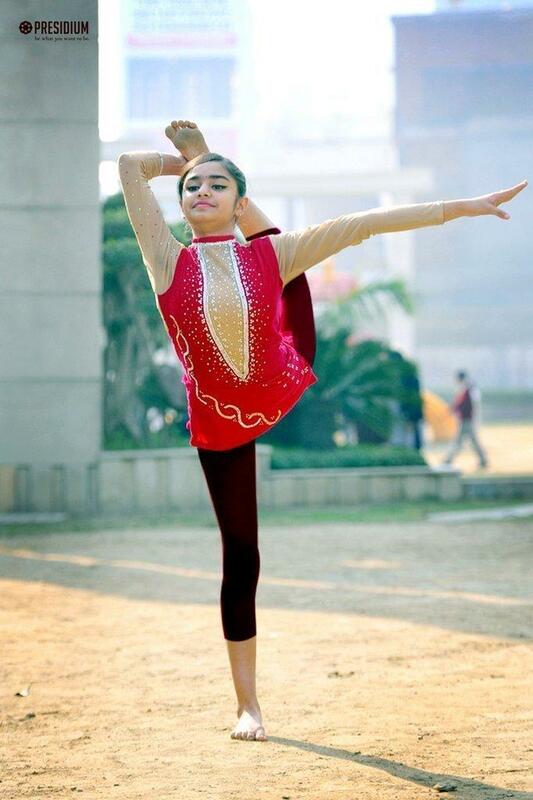 Our gymnastic pro, Nitya Jain of Class VII, from Presidium Indirapuram, has secured 3rd position at the 62nd National School Games-Gymnastics Championship held at Sonipat from 6th to 10th January. 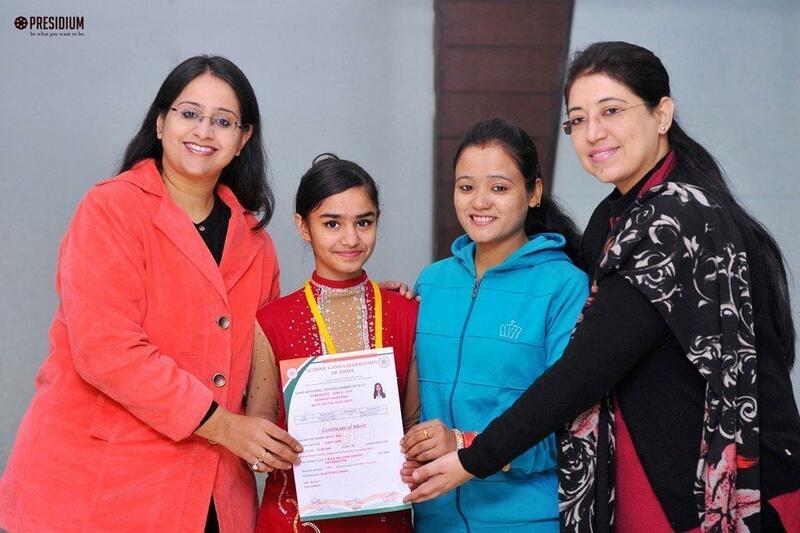 Nitya won in Ball event under 14 categories and became the judges’ favourite contestant from among more than 1200 students who had come from 27 different states. 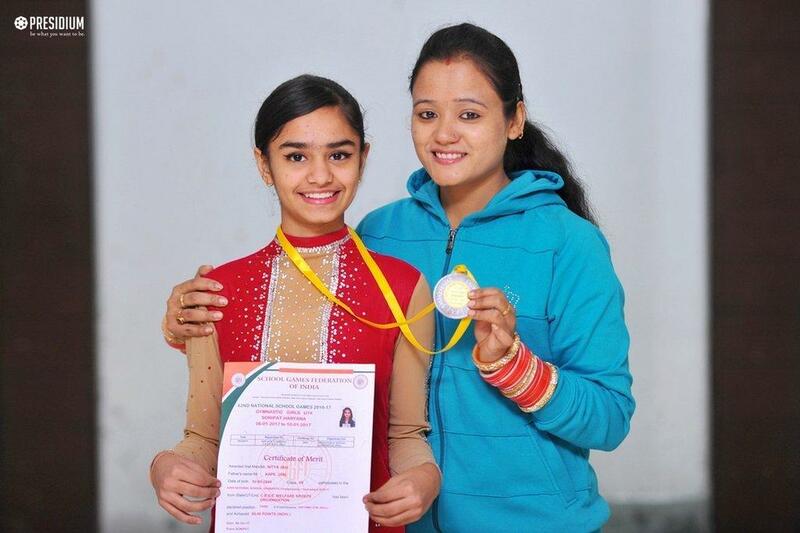 Congratulations to the Coach, Ms. Manvi Bhandari and Presidium Indirapuram.